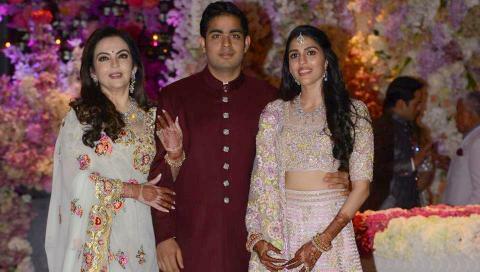 MUMBAI: Son of Reliance Industries Chairman Mukesh Ambani and Nita Ambani – Akash Ambani – and daughter of Russell Mehta and Mona Mehta – Shloka Mehta – will be getting married on March 10, 2019 in Mumbai. A lot has been said about the wedding invite of Akash Ambani. Be it the beautiful designs or the soothing colour combinations, Ambani’s wedding has taken the Internet by storm!